This is a Mini Quick Release Plate Screwdriver made specifically to fit your AC / Camera pouch. 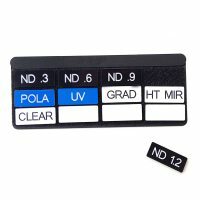 This tool shouldn’t be missing in any camera assistant’s or cinematographer’s pouch. It features a T-Handle that allows for more torque than a regular screw-driver to ensure your quick release plate doesn’t get loose at the wrong moment. It’s also has a larger blade than you would normally find on a regular screw driver. We decided to make the blade 11mm wide and 2mm thick, which ensures that it fits the screws found on heavy duty tripod plates as well as the screws on tripod plates for small cameras. 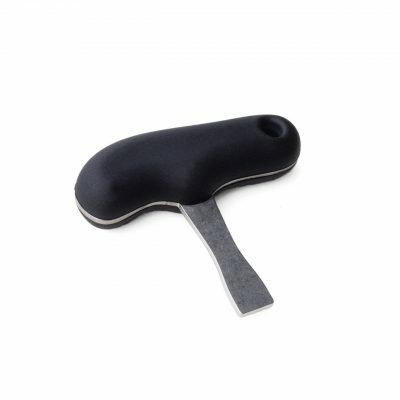 The ergonomically shaped T-handle is made of a rubbery material that has a soft touch feel. – Small size to fit your AC / Camera pouch. – T-Handle that offers good torque. – Slightly smaller blade size than typical #7 screwdriver so it also fits the screw of smaller tripod plates. – Hole to attach safety cord in case you are working on an elevated platform above cast and crew.